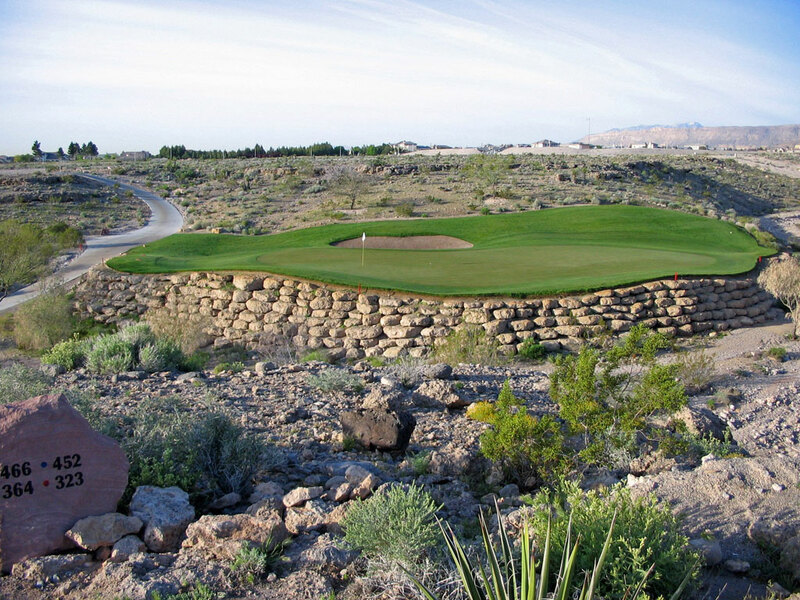 Course Website: Official Website - Visit TPC Las Vegas (The Canyons)'s official website by clicking on the link provided. 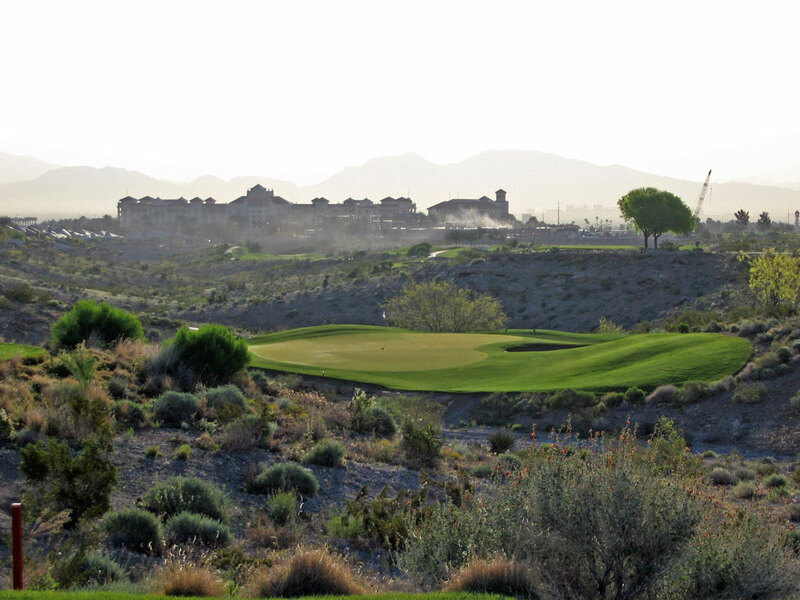 Accolades: Ranked 24th in Nevada on Golf Course Gurus' Best in State list. What to Expect: No matter how large or small, golfing at a PGA Tour stop gives golfers a special feeling and a chance to see how they stack up to the big boys. 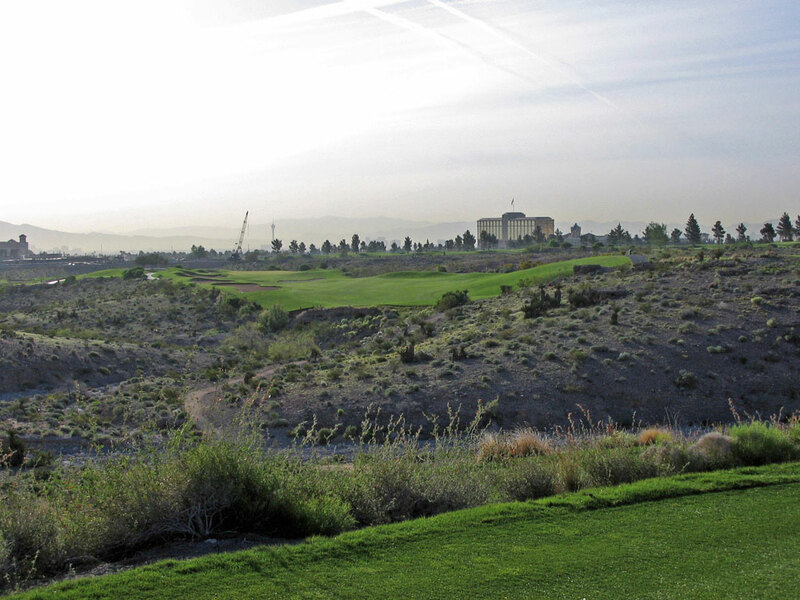 At TPC Las Vegas (The Canyons) you are offered an opportunity to play a public access course that combines traditional holes with desert holes. The canyons come into play on a majority of the holes on the back nine and create some natural hazards that are both attractive and entertaining. Conditions are always excellent and the facilities are excellent for hosting events. Signature Hole: 2nd Hole – 196 Yard Par 3 – The 2nd hole is your first introduction to desert/canyon golf and it hits you with a bang! At nearly 200 yards, this island green that is surrounded by a barranca and desert rather than water offers the most challenging approach shot of the day. A single bunker sits on the right side of the green that is 39 yards deep and not as wide. There is a bit of forgiveness right of the putting surface that will kick balls back towards the hole, but anything left of the green will finish down with the lizards. Best Par 3: 2nd Hole – 196 Yards – Already featured as the signature hole, this side view of the green shows how the nasty bed of rocks and sand that awaits an inaccurate tee shot. If you miss this green, be sure to understand your drop options well so that the best decision can be made and the fewest strokes lost. Best Par 4: 13th Hole – 423 Yards – The strength at TPC Las Vegas is its quality of par fours, but none are of higher quality or typify the Canyons name more than the 423 yard 13th. With an arroyo running the entire length of the right side, the player needs to aim left of the fairway bunkers that are barely in view in order to avoid "Death Valley" as the hole is aptly named. Once your tee shot carries the canyon, the golfer is faced with approaching a two-tiered green that is protected by four bunkers. 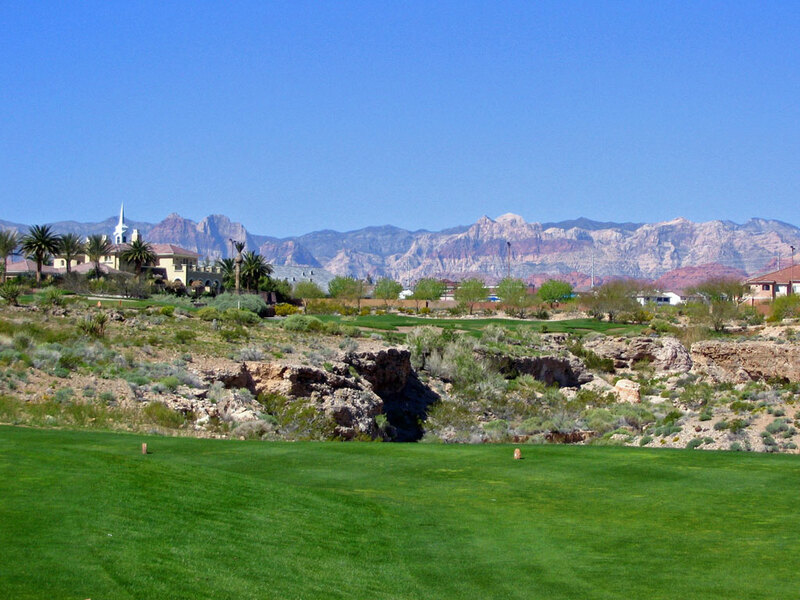 Best Par 5: 15th Hole – 612 Yards – The last canyon hole is also the TPC's best par five of the day. Playing a lengthy 612 yards, the 15th hole is protected by an arroyo down the entire right side of the hole and is peppered with eight sand bunkers throughout the hole and a grass hazard about 100 yards from the green. The hole typically plays downwind which allows longer hitters to reach the green in two, but most humans are going to be thrilled to be putting in three. Birdie Time: At just 145 yards, this attractive hole plays to a fairly wide peninsula green with bunkers protecting the left half of the green. The right 1/2 of the green is large and receptive and should yield some nice birdies as long as the golfer's tee shot carries the canyon separating the green from the tee box. Bogey Beware: 3rd Hole – Yard Par 4 – The longest and most accurate tee shot you'll need for the day is early on in the round at the 3rd hole. Keep your ball on the right half of the fairway to avoid the fairway bunkers up the left side of the hole and to afford the greatest amount of distance forgiveness. The sloping fairway will tend to pull approach shots left towards the bunkers next to the green so be sure to keep it on the right side of the hole as much as possible to hole to avoid a bogey.